This ballpoint pen with rose shaped top is not your average trade show handout! 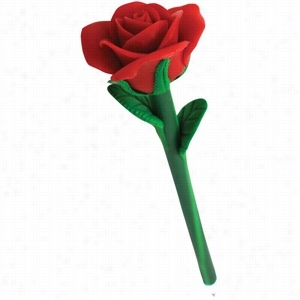 Your female clients will remember your company just because they will adore these flower shaped top pens. Very unique. Perfect for florists, flower shops, garden centers and more.Products are not intended for use by children or pets. They may present a choking hazard to children under 3 years of age. 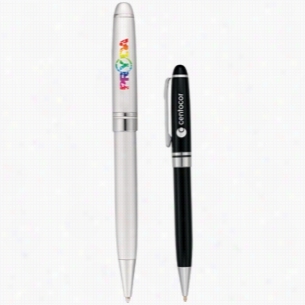 Stylish, ergonomic retractable ballpoint plastic pen.Brilliant iridescent pen barrel colors.High-quality Easy-Glideâ„¢ Ink. Whether you hand them out at trade shows, on sales calls or just keep them around the office for your staff, our ergonomic pens are the perfect fit! 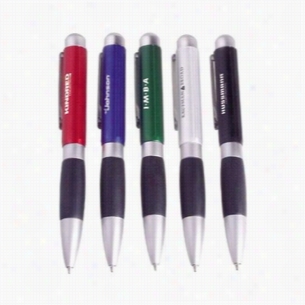 Premier Twist Retractable Ballpoint Pen. This heavy duty, twist retractable ballpoint Pen features a brushed finish with a soft, comfort grip shaft. A little heavier than your average pen, its weight makes this pen write smoothly in full, bold black.silver pens are printed in your choice of imprint color. 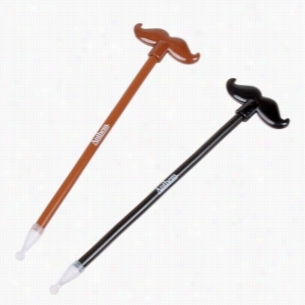 Make your writing wacky and fun with our Mustache pens! Hand out this mustache pen during the month of Movember, wild west celebrations, and costume-themed parties, to turn up the volume on your promotional event! 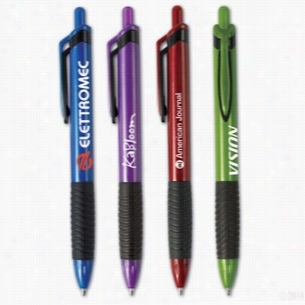 Customize with an imprint of your brand name or logo on the pen. Don't get yourself into a "hairy" situation - invest in this fun promo today! 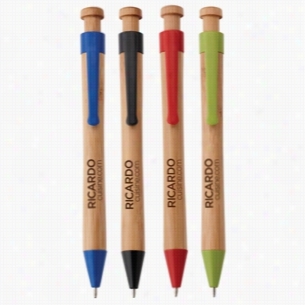 Retractable ballpoint plastic Pen with rubberized grip. Lustrous iridescent pen barrel colors.Reliable Easy-Glideâ„¢ ink. Whether you hand them out at trade shows, on sales calls or just keep them around the office for your staff, our ergonomic pens are the perfect fit! 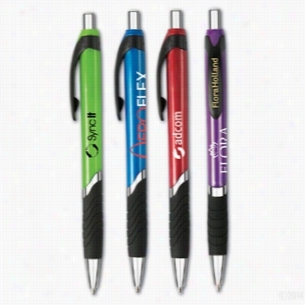 The best promotional Products are custom imprinted pens. 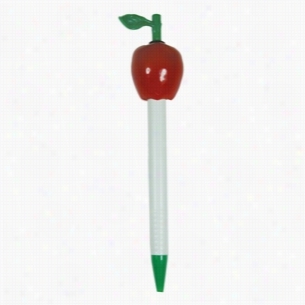 This ballpoint pen with apple shaped topper customized with your logo or slogan will be a perfect trade show giveaway. Great for any school or educational event.Products are not intended for use by children or pets. They may present a choking hazard to children under 3 years of age. 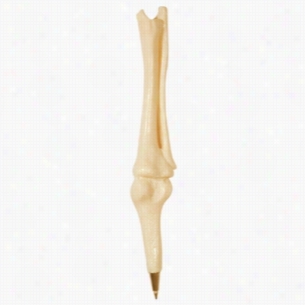 Unique knee joint shaped ballpoint pen. Great for hospitals, radiology clinic and chiropractors! Your custom imprint or logo will look great on these promotional knee shaped pens.Products are not intended for use by children or pets. They may present a choking hazard to children under 3 years of age. 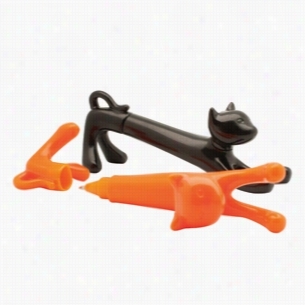 These adorable stylized cat pens are sure to attract attention. A wonderful promotion item for anyone in the pet industry, especially vets, groomers, or rescue organizations. Products are not intended for use by children or pets. They may present a choking hazard to children under 3 years of age. Panda push-action ballpoint Pen with bamboo wood barrel and cornstarch clip and tip made with 60% biodegradable materials.Due to our high standards of quality control, we must advise that slight irregularities in the bamboo wood of these pens may result in imprint imperfections.